We’re all guilty of rubbing our eyes occasionally. It’s a natural reaction to itchy eyes, particularly around allergy season. 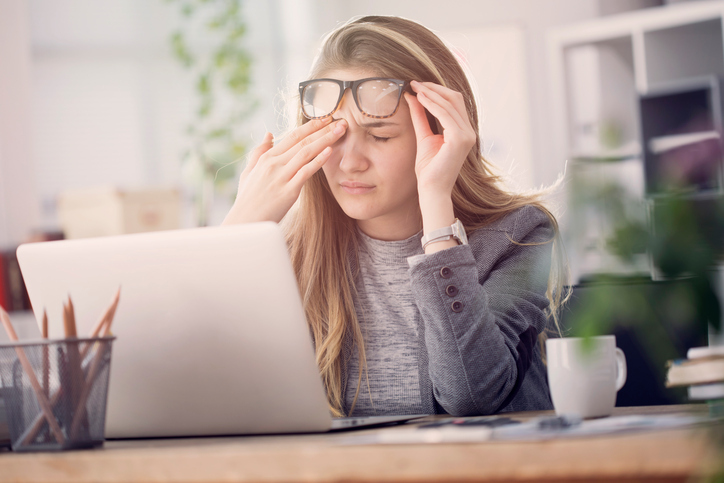 It may seem harmless, but persistent eye rubbing can cause some potentially dangerous eye conditions, and should be avoided. For those interested in LASIK or PRK laser vision correction, here’s the most compelling reason of all to stop rubbing your eyes: persistent eye-rubbing can injure your cornea, change your prescription and make it difficult for your eye doctor to determine if you are a candidate for LASIK or PRK. The reason for this is that these artificially induced eye rubbing irregularities can mimic the appearance of eye conditions like corneal warpage and keratoconus, which can disqualify you as a candidate for laser vision correction. In many cases, the corneal surface normalizes after the eye-rubbing is stopped, but this can take weeks to months. Keratoconus: As noted above, keratoconus can cause you to be disqualified as a candidate for laser vision correction. This disease is marked by thinning of the cornea which causes the cornea to bulge into a conic shape. Studies have shown that eye rubbing can accelerate the progression of keratoconus, which may eventually require a corneal transplant. Corneal Abrasion: If you rub your eye when you have something in your eye, you can cause that foreign particle to scratch your cornea. Contamination: Your fingers carry a lot of bacteria which can be transferred into the eye during eye-rubbing. This can cause eye infections such as conjunctivitis. Redness: Rubbing the eyes can cause blood vessels in the conjunctiva to be inflamed, which can make the eyes appear red. Dark Circles: The blood vessels under the delicate, thin skin under the eyes can also burst as a result of rubbing your eyes. This can worsen the appearance of dark circles under the eyes. Loss of eyelid elasticity: Too much rubbing can cause the skin of the eyelids to lose elasticity which can add years to your appearance. As eye rubbing is typically a response to dry, itchy and allergic eyes, using a preservative-free, over the counter natural tear drop whenever you have the urge to itch your eyes is a much better alternative. This tear drop not only lubricates the eye, but it can flush out the allergens that are causing the itching. If the itching still persists after using the natural tears, you should visit your eye doctor to determine the underlying cause of the itching. Sometimes a specific natural tear drop is necessary, and other times, an allergy drop may need to be added to your regimen. Cold compresses can also help relieve the irritation that can lead to eye-rubbing. So, the next time you reach up to rub your eyes, we hope you’ll think twice!